If you're wondering what is this? that is happening in 1 utama this saturday! 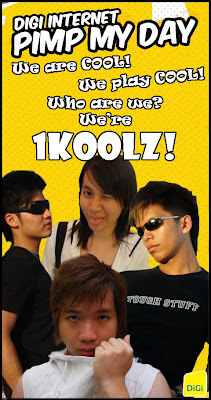 We're called 1Koolz thanks to Xiangs "coolness"
that will be competing for laptops, modems, routers, hard drives and so on! See ya at the competition!